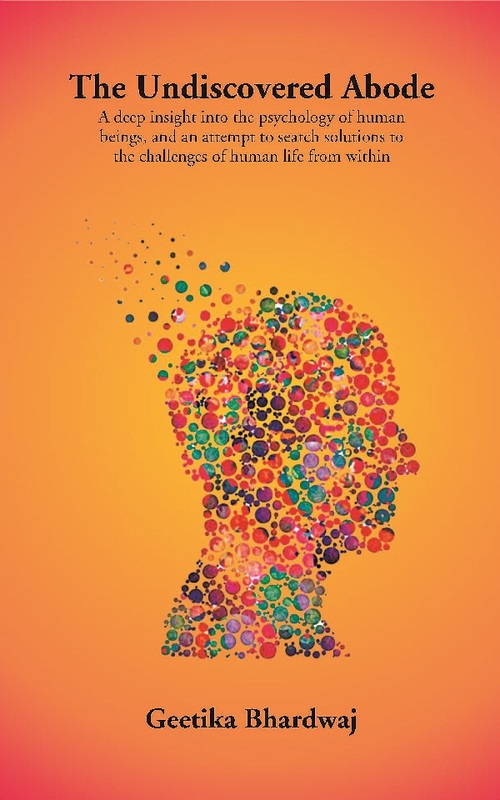 The Title 'The Undiscovered Abode: A deep insight into the psychology of human beings, and an attempt to search solutions to the challenges of human life from within written/authored/edited by Geetika Bhardwaj', published in the year 2019. The ISBN 9789380223506 is assigned to the Paperback version of this title. This book has total of pp. 158 (Pages). The publisher of this title is GenNext Publication. This Book is in English. The subject of this book is Psychology / Social Science. This book, 'The Undiscovered Abode' unwinds the inner self and projects the power of a human being and his inner self which can help in facing any challenge of life. It describes the various kinds of challenges. Our intellectual prowess, our inner self, the zeal, spiritual altitude are major weapons which help in combatting the odds of life. It is a journey from the inner self to the Divine too and explores the relationship between tranquility, divinity, spirituality and religion. The poem part is deeply related to the aspects of life in particular. The author of this book, “The Undiscovered Abode” is Geetika Bhardwaj. She is a simple person with certain goals in life. She has completed all her education in the state of Haryana. She was a science student till post-graduation and completed her BSc Medical from Government P.G. College, Hisar. Then, she has done her MBA from Chaudhary Charan Singh Haryana Agricultural University, Hisar. Her area of specialization in MBA was HRM as major and Finance as minor. Later on, she worked with Career Makers as an IELTS Faculty and after some years got selected in three major banks of the nation as a Probationary officer. Worked as a Probationary Officer for Canara Bank for a short duration and then, worked as a Probationary Officer, Rural Banking, in SBI for more than two years. She has been writing poetry since ninth standard and this is her first work in prose and poetry combined. Her other pursuits include sketching, slogan writing, listening to music, writing devotional songs, and introspection of the self.